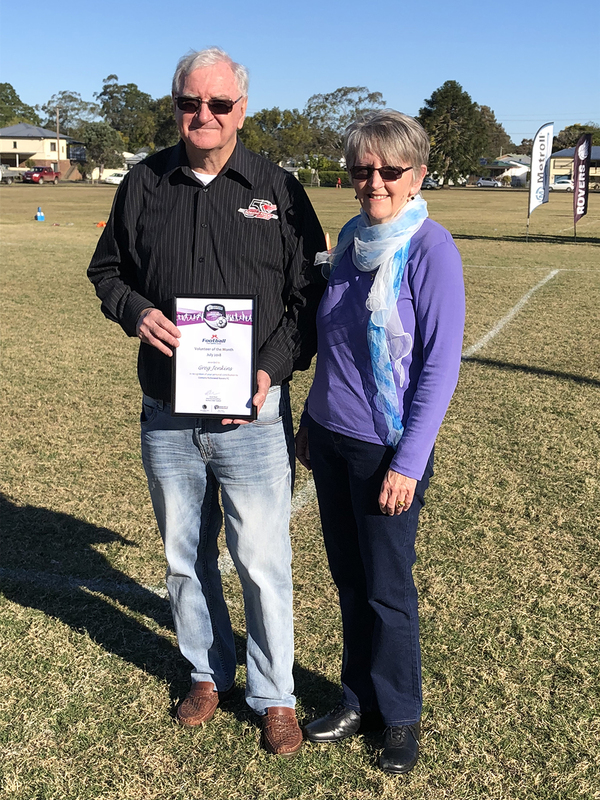 Northern NSW Football (NNSWF) congratulates this month’s Newcastle Permanent Community Award Monthly Winners in Football Far North Coast for July. The awards recognise the hard work and significant time volunteers, coaches and match officials contribute to Australia’s largest team sport. 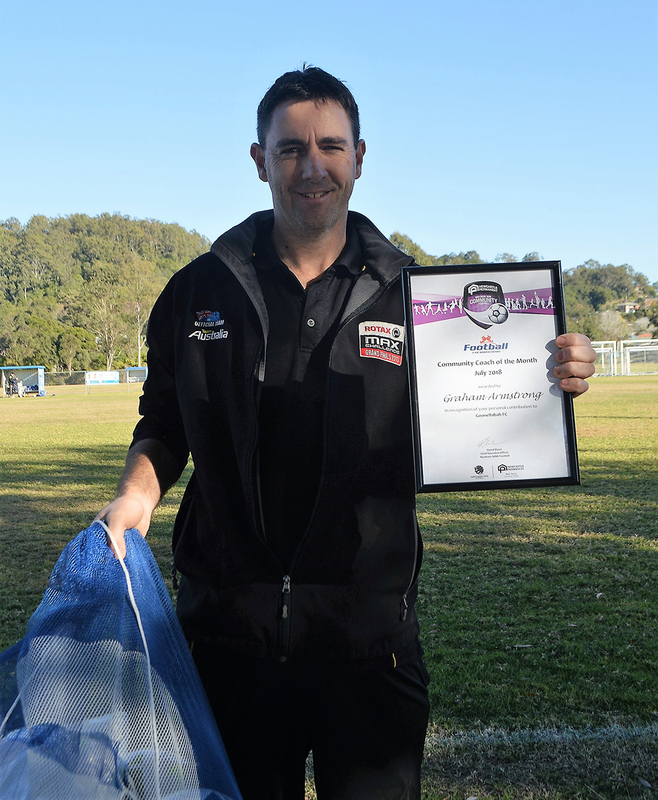 NNSWF Community Football Manager, Peter Haynes said the Newcastle Permanent Community Awards provide an important opportunity to recognise those who make the game what it is today. “Without this month’s winners, football simply would not be in the position it is, each of these winners has made an outstanding contribution to their clubs and deserve to be recognised. “Community Football relies on a collective effort and these awards reflect the appreciation extended to everyone who plays a role in progressing our game. Each of the winners was selected from a number of nominations made by club colleagues and observers of the game. Each winner receives unique packs from Official Community Football Partner, Newcastle Permanent to help them in their endeavours. Newcastle Permanent Ballina Branch Manager, David Parker congratulates each of the winners and thanks them for their contribution to the game. 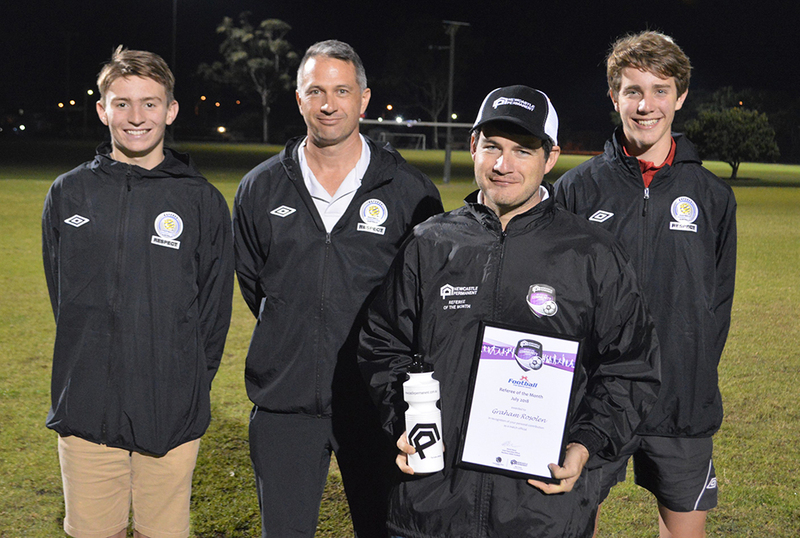 “We are delighted that a local volunteer, referee and coach have received this award and been recognised across Northern NSW for the incredible commitment they make to their club and community football”, Parker said. 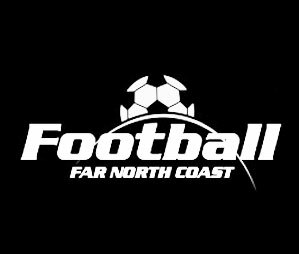 From the pool of monthly winners, Football Far North Coast will nominate one winner from each category to represent their Zone for the opportunity to be named “Newcastle Permanent Community Football Winner of the Year” to be announced at NNSWF’s Annual Awards Night in October. Northern NSW Football, Football Far North Coast and Newcastle Permanent congratulate all the recipients for July. Graham is a current player, who began refereeing in 2015. He regularly officiates on junior and lower level senior football and regardless of what division Graham is officiating, he dedicates himself to the role each week. Graham deserves this award for the commitment he displays, by regularly attending training and coaching meetings and having a willingness to officiate whenever and wherever he is required, at times just to ensure that games are covered. Graham’s efforts deserve to be applauded and congratulated. Greg Jenkins’ contribution to Lismore Richmond Rovers FC was formally recognised in 2002 when he was awarded Life Membership. Promoted by a broad interest in understanding more about the players, teams and results at Rovers, Jenkins started compiling records in 1986 from every competitive game involving the club but could not have known where that concept would lead him over the next two decades. An extensive data base now exists that can retrieve an individual dossier to reveal every game played since 1986 by every Rovers player, every goal that they scored and even an accurate disclosure of yellow or red cards received in any given game. Greg has kept these records provides a wonderful historical summary for the club and provides a great record that individual players are welcome to request if they so choose. 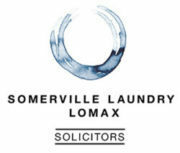 Greg attributes the patience and support of his wife Dianne for enabling him to spend countless hours over many years to create this extraordinary legacy for Lismore Richmond Rovers FC. 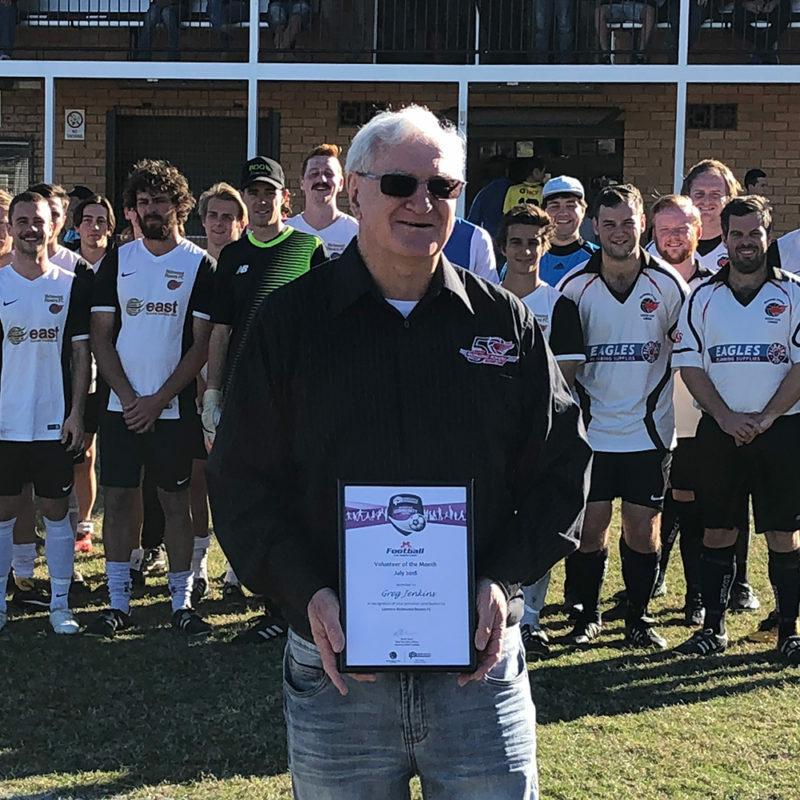 Greg Jenkins is recognised with a Newcastle Permanent Volunteer of the Month Award for July in a gesture that heralds the generosity, passion and achievements that he has made to local football. Graham has been involved with Goonellabah FC for almost 10 years and answered the call several years back to coach a junior team. 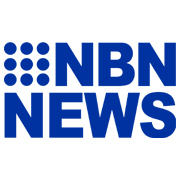 He is now the coach of the Goonellabah Grade 14 team that participates in the FFNC division 2 competition. Graham is acknowledged as having a positive attitude and encourages the players to have fun and play in the right spirit.